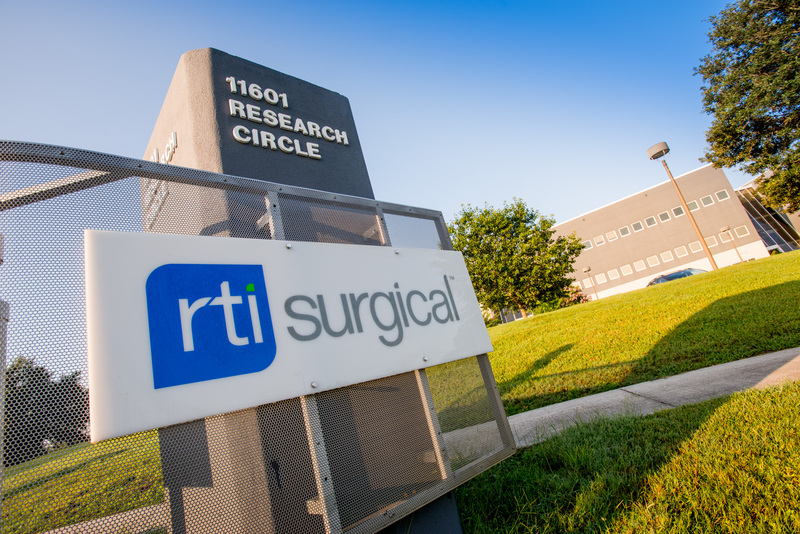 RTI Surgical® Announces Limited Launch and First Implantation of Unison™-C Anterior Cervical Fixation System - RTI Surgical Holdings, Inc.
ALACHUA, Fla. (Feb. 23, 2016) – RTI Surgical® Inc. (RTI) (Nasdaq: RTIX), a leading global surgical implant company, is pleased to announce the limited launch of the Unison™-C System, an anterior cervical fixation system. The first human implantation of the Unison-C System took place during an anterior cervical discectomy and fusion (ACDF) procedure last week. The Unison-C System will expand RTI Surgical’s hardware portfolio into the growing standalone interbody market. The Unison-C Anterior Cervical Fixation System is indicated for stand-alone anterior cervical interbody fusion for the treatment of degenerative disc disease at a single level of the spine from C2 to T1 in skeletally mature patients. The implant consists of an intervertebral body device made of PEEK-OPTIMA® from INVIBIO® Biomaterial Solutions with an integrated locking mechanism and two screws. The Unison-C System is designed to be used with autograft and/or allograft. This standalone device is contained and secured within the disc space, alleviating the need for supplemental fixation, such as an anterior plate and screws. In order to improve surgical efficiency, the system’s instrumentation features an all-in-one implant inserter and guide, which allows surgeons to complete all required steps from insertion to final locking. For more information about the Unison-C System, please contact customer service at 1-888-778-8771.